Portait by Theo Meier in handcarved frame. 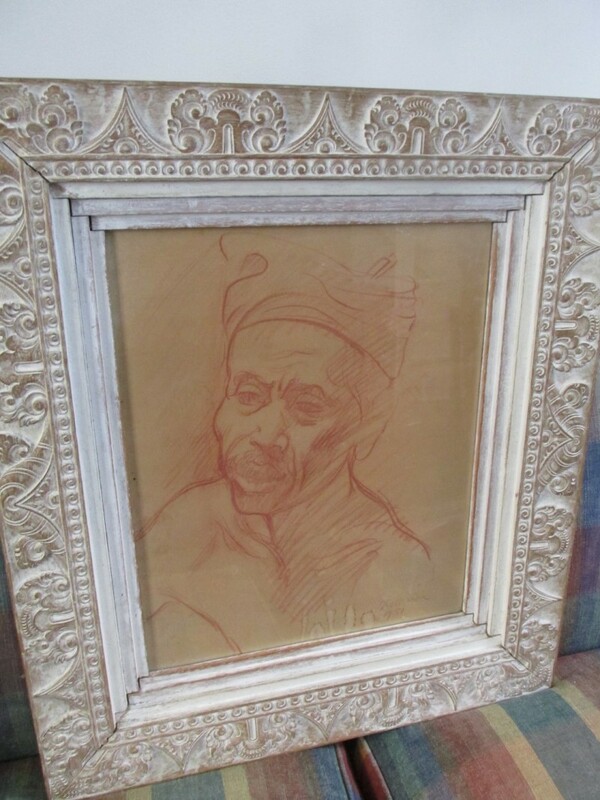 Quick but precisive drawing by Theo Meier of presumeably his friend, I Gusti Gede Tadji, because this name is written in pencil on the back of the frame. Nice handcarved Balinese frame. Pls click on the photo to get more info and photos.